Situated in southern Tunisia, Douz is a fruitful oasis known as the “Gateway to the Sahara”. In fact it is the most important oasis south of the Chott Djerid and is very popular with tourists, particularly at festival time. The town is one of the largest oasis settlements in Tunisia with around 12,000 residents, but palm trees still outnumber the locals by around 25 to 1! Douz is a palm oasis and a major produce of dates. The town is quite ramshackle, lacking traditional architecture and consisting of a collection of brick and mud buildings, but the experiences it offers are quite unmatched. Where else can you see the ancient Berber people cooking over a smoky fire, their lined faces decorated with tattoos, or eat delicious stuffed breads, known to outsiders as Berber pizzas? The most realistic looking buildings here turn out to be film sets – another desert mirage! Market day in Douz is Thursday when visitors can buy anything from pots and dates to a live camel! The main highlights are the interesting Museum of the Sahara with an informative local curator, or a visit to the Palmeraie where half a million palms produce dates and other staple fruits. The International Festival of the Sahara takes places at changeable dates at the end of November or December each year. It showcases the desert traditions and life in the oasis as part of the date harvest. Vibrantly-costumed performers do ever-more daring tricks. Belly dancers climb ladders balancing an impossible number of clay water jars; young girls perform ‘hair dances’ with their long tresses and local turbaned performers do daring tricks on horseback. Horse racing, camel fights and rabbit chases leave everyone laughing and noisily applauding the winners. Then, in complete contrast, the enactment of a romantic Tunisian wedding shows off all the traditional finery of this historic ceremony. These performances keep alive the ancient traditions, heritage and skills of the Tunisian desert people and the nomadic Mrazig people. Douz is the ideal base for experiencing a sand dune adventure on a 4×4, or book a desert camel trek with a local Bedouin guide. Day trips or longer tours of up to 15 days explore the far south of the country. Trips include traditional campsite meals and camping out will be in simple tents with no bathroom facilities. 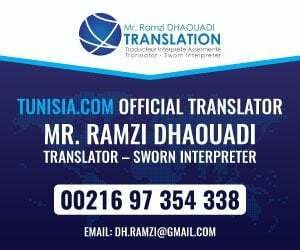 Douz is 250km from Djerba International Airport and 120km form Tozeur Airport. To drive to Douz, take the C104 for around 98km from Matmata and allow 1¾ hours to get there. Alternatively drive 126km east from Tozeur along the P16 which crosses the causeway through the slat flats of Chott el-Jerid.